Texas regulators have breathed life into a long-stalled energy efficiency program. That update, circulated last week in a staff memo, came six weeks after The Texas Tribune reported that the program was stuck in bureaucratic limbo. Those who were following discussions about the program said they were happy to hear that the state did not forget about the earmarked funds. Terry Hadley, a spokesman for the commission, said it took a long time for various parties in the planning process to agree on details, such as which brands of devices to use, particularly as technology evolved over the years. "I think we're going to end up with something that has a little flexibility," he said. The commission will hold a public workshop on Oct. 9 to discuss the plan, the memo said, and electric transmission providers should be ready to implement it by January 2015 — more than three years after the commission’s initial self-made deadline. In a series of orders beginning in 2008, Texas regulators told the three largest electric transmission providers – Oncor, CenterPoint and AEP Texas — to set aside money for a program that would provide poor Texans with “home and business area networks” that interact with "smart" meters installed at their homes. The order required CenterPoint to earmark $7.5 million for the program, while Oncor and AEP Texas would pay $10 million and $1 million, respectively. Smart meters, which utilities can read remotely, record power-usage data almost instantly, enabling utilities to respond faster to outages. They also help consumers track their own electricity habits and, in theory, save money. Since the passage of a 2007 state law urging that the smart meters "be deployed as rapidly as possible" across the state, Texas has spent more than $2.5 billion installing about 7 million meters across the state. Funding came from a mix of federal grants and fees between $2 and $3 tacked on to Texans' utility bills. Most people with those meters can check their energy usage online, typically with a 24- to 48-hour delay. 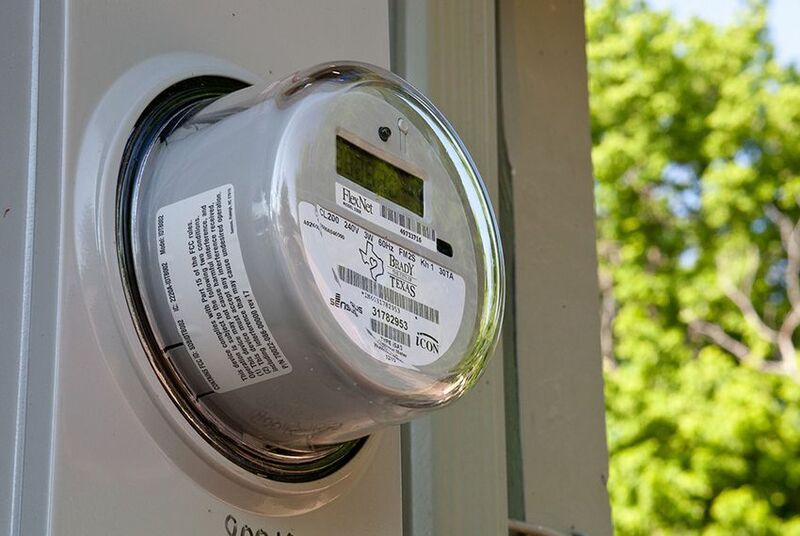 According to the state's latest tally, about 12,000 smart meters are hooked up to home area networks – high-tech thermostats or other home displays that allow users to view data closer to real time and control certain appliances. Today, those devices can cost less than $100. The Texas Office of Public Utility Counsel pushed for the low-income efficiency program amid concerns that poor Texans would be among those paying surcharges for the meters, even if they lacked steady internet connections or money to purchase in-home networks themselves. But the utilities, which were instructed to work together on a proposal to present to the Public Utility Commission, struggled to agree on details in the ensuing years, rankling consumer advocates and leading some to assume regulators forgot about it. Utilities said they ran into difficulties reaching a consensus on a number of issues, including which consumers should qualify for the program, which company's technology should be used and how to handle data privacy concerns. Now, the commission says it has developed a plan to reimburse retail electric providers for providing smart thermostats and other in-home devices to customers who want them. Multiple parties worked “diligently and cooperatively on developing an agreed upon approach” that will help avoid any major disputes, the staff memo said. Transmission companies will reimburse retail electric providers up to $300 for each high-tech device, under the framework described in the memo. Lewin said the devices should help low-income Texans think more about their energy use and figure out how to save money by reducing it. He said the data would also help electricity providers tailor plans to individual customers based upon their use. “They should be able to say with this data, ‘Wow this 1,200-square foot house is using as much energy as a house two or three times its size. There’s something wrong there, and we need to go and target energy-efficiency programs,’” Lewin said. But some consumer advocates are not convinced that the program will deliver significant benefits to low-income Texans, who may not be interested in the high-tech devices or live in old apartments that may not be equipped for them. Questions remain about enthusiasm at all income levels for high-tech meters. Less than 1 percent of Texans have logged into the state’s online portal to view their smart meter data (though some are viewing the data through other means), and major utilities have decreased spending on smart grid education, Lewin’s group found in a recent report. Biedrzycki said she worries that electric providers will see the program as a marketing ploy – by offering devices to customers who sign up for their plans. Disclosure: CenterPoint Energy is a corporate sponsor of The Texas Tribune. Oncor was a corporate sponsor in 2012. A complete list of Tribune donors and sponsors can be viewed here.